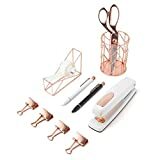 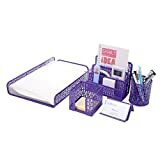 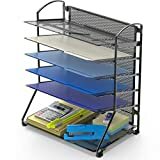 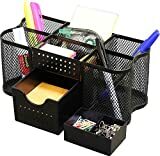 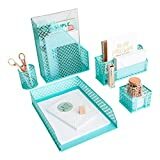 A desktop office supplies organizer featuring a metal frame, metal mesh walls, and a black finish. 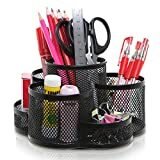 Comes with 1 tall storage cup in the center surrounded by 3 medium-sized cups and 3 short cups. 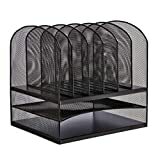 Rotates to allow for easy access to all your supplies.